There’s a reason to get excited about Kenyan television again! Grace Msalame, who is without a doubt one of the most bankable and alluring media personalities in the land, is making her television comeback. The former Kiss TV host, who guarantees eyeballs on account of her bodacious figure alone, has joined NTV. 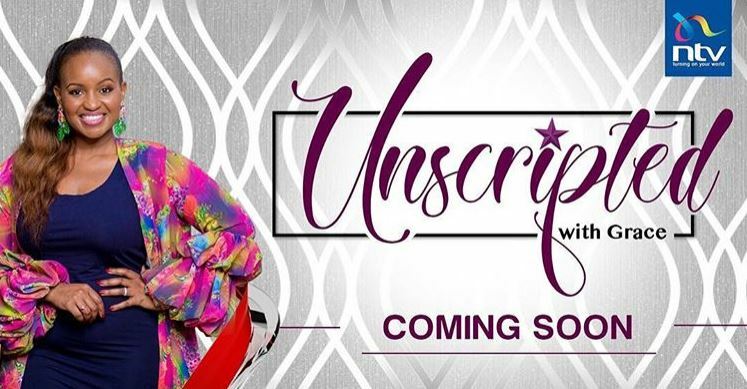 The vastly experienced presenter was overjoyed, taking to her social media on Tuesday to announce she will soon be hosting a new lifestyle show dubbed ‘Unscripted with Grace’. “All Glory back to God, It’s been a loooong journey getting here! So grateful for this Becoming, it’s an ongoing process in refining it… journey just begun Tuonane Hewani. 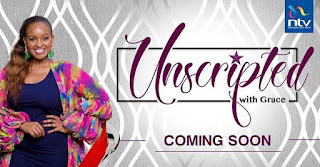 Because life is Unscripted… Coming Soon,” wrote the mother of two. Before her new NTV gig, Msalame has been hosting a YouTube vlog ‘Do It With Grace’ since July 2017, two months after leaving Radio Africa. Msalame started her media career as a 19-year-old at KTN where she worked as a host of ‘Str8 Up’ from 2005 to 2007. She then moved to Capital FM where she worked as a radio presenter before switching to Radio Africa group, where she served in different capacities for seven years, including as tv host, producer, director, and Bamba TV Manager.